GoldenEye, textures like Doom. Lay them down, kill the whole room. Throughout the fight, murder them right. Never look down, with GoldenEye (in Doom). Doom certainly deserves a place on our list of PC’s best FPS games. 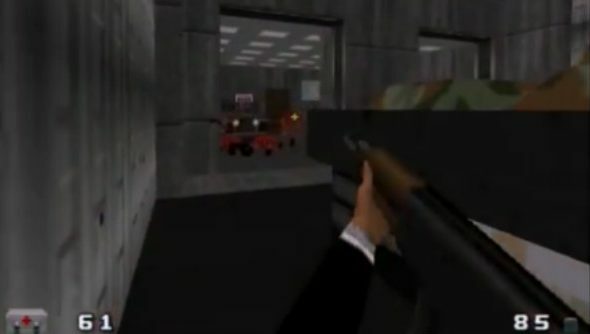 If you’ve ever wondered what N64 classic Bond game GoldenEye would be like without the terrible controls and the even worse controller, someone is making a Doom mod that recreates the spy shooter in id Software’s fast-paced engine. Announced on ModDB, Goldeneye007 Tc Gzdoom will be similar to the GoldenEye 007 Doom 2 mod, but it’ll add visual effects like dynamic lighting and 3D floors. Other improvements include comic book style cutscenes, redesigned and reworked levels, more Bond One liners and some other extras. A video has been released from the updated Dam level, which at time of writing is about 75% done.